(BPT) – The real estate market is heating up, and if you’re planning to sell your home in the future, you want it to sell quickly and for as high of a price as possible. By taking proactive action now, you can make a few strategic home improvements that can help you achieve both your goals. 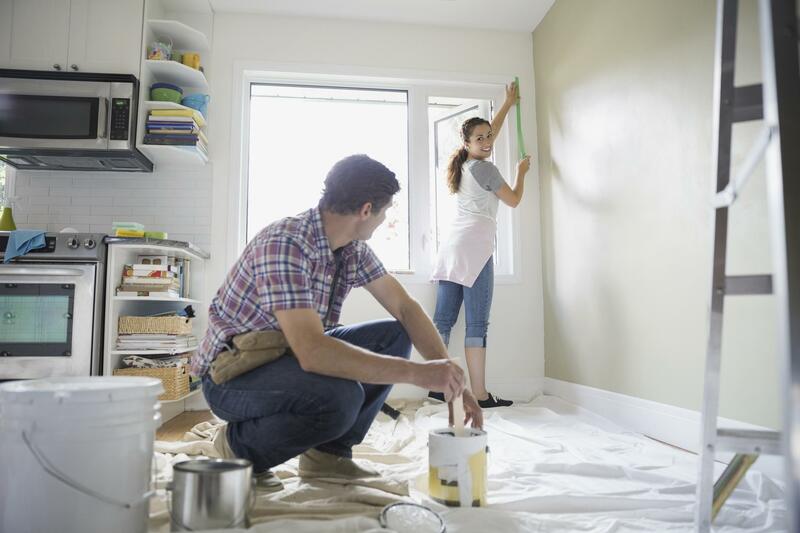 To boost your home sale and reduce time on the market, consider these top home improvement ideas to catch buyers’ eyes. Garage door: When potential buyers visit your property, you want to make the best first impression before they even come inside. That’s why it’s wise to replace your garage door. It takes up a significant amount of exterior visual real estate and helps define the home’s aesthetic. What’s more, according to Remodeling Magazine’s 2018 Cost vs. Value report, a garage door replacement recoups an astonishing 98.3 percent of cost upon resale. Bathroom addition: More bathrooms typically mean you can charge more for your home. Think you’re limited based on existing construction? Think again. With Saniflo, you can add a complete bathroom where no drainage existed before thanks to above-floor plumbing features like a macerating toilet and drain pumps. The Saniaccess3 is a smart choice for full baths, and the Saniaccess2 is ideal for powder rooms. Kitchen upgrade: A complete kitchen remodel is costly, but a few smart upgrades can make the heart of the home shine. Consider replacing worn laminate countertops and updating hardware for a fresh look. For extra ‘wow factor,’ add an island. Fresh flooring: You don’t have to replace all your flooring, but focal areas like the kitchen or family room, as well as areas that tend to experience higher wear, such as the entryway, can benefit from a new floor. Forget expensive tile or hardwood replacements. Vinyl wood flooring looks incredibly similar to real wood, and modern luxury vinyl tile mimics the gorgeous look of stone or ceramic tile but is more durable and affordable. You may be able to simply add new flooring on top of old, making it a much easier DIY project. Neutral paint: Don’t ever underestimate the value of a fresh coat of paint throughout your home. Walls get dingy and colors get dated. Repaint rooms with modern, neutral tones. As much as you love plum, buyers may not, so stick with whites, creams and grays whenever possible. Visit your local paint store and you’ll see there are many neutral options to add excitement to interior spaces. Don’t forget the ceiling, too! A fresh coat of white can do wonders. These five projects will enhance your listing so you get more attention and book more showings. You may even start a bidding war with enough interest, and that can really drive up the price. Take action now and these home improvement efforts are sure to make an impact. Please click here to contact a Pacific Home Brokers agent to learn more. This entry was posted in Real Estate on April 14, 2018 by Mike.